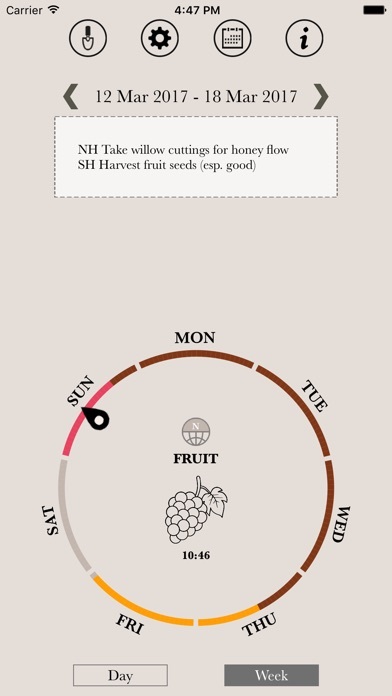 An interactive biodynamic sowing and planting calendar -- Based on Maria Thun's bestselling calendar, published for over 50 years -- Automatically adjusts to your time zone -- no more manual calculation from GMT -- Shows the optimum days for sowing and harvesting particular plants and crops -- Also includes working with bees, controlling pests, preparing biodynamic preparations, pruning, taking cuttings and grafting -- Goes above and beyond the standard lunar calendars, harnessing Maria Thun's unique insights and approaches Click on any day to see all the key gardening and farming information, or click on an 'Action' category such as 'Harvest seeds' or 'Pest control' to see all the relevant dates on which to carry out that action. The app is free for the current day and days past. For future days, please purchase the annual data (in-app purchase). 2019 Thun Calendar app will not open. Excellent App - now works! The only reason I haven’t used this wonderful app was because it had an issue crashing; this is now fixed! It has an intuitive design, and a great easy reference for seeing if it’s a flower, root, leaf day, etc. 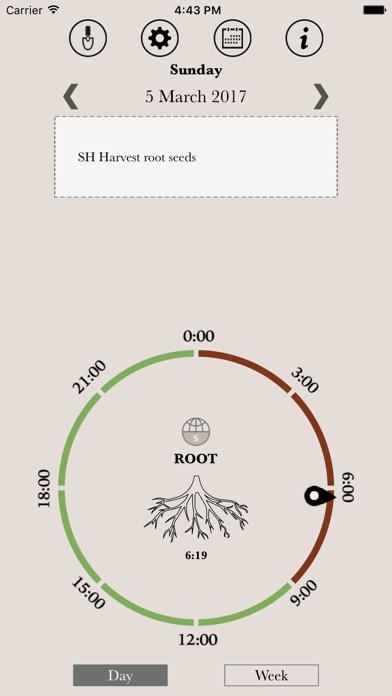 according to biodynamic understanding. VERY handy, thank you for updating the app!! Where are the details on what sign and where moon is??? 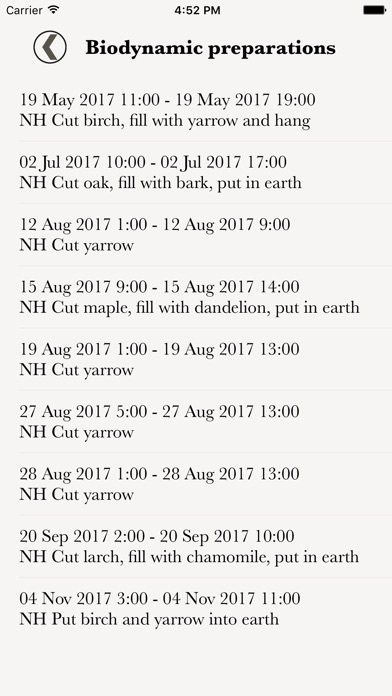 This app is not helpful if you really understand how to garden with the calendar. We need to know what sign moon is in. what are the aspects are going on? Where is the AG? PG? What time is the moon moving from one side to the next? Can’t you improve this??? The app is outstanding for informational purposes, however for some unknown reason it closes on its own within an hour of downloading. By this I mean after the app is downloaded and you close the app and then try and reopen it, it will not open. It seems to be some form of a software issue. I brought this problem to the developer's attention last year but nothing seems to have been done to correct this issue. 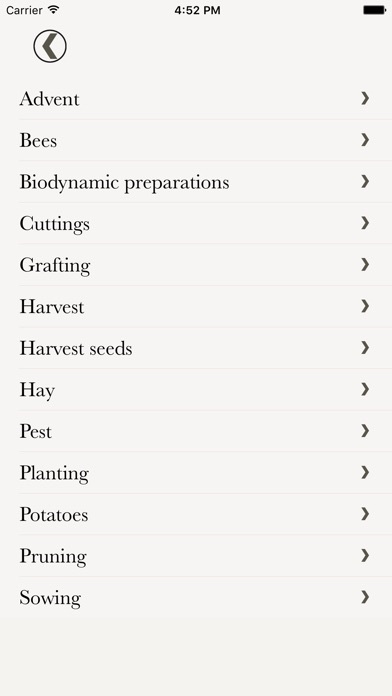 I have to literally remove the app and re-download it in order to view the current days biodynamic information. If the developer could please fix this problem the app would be truly outstanding. and the calendar only does one week at a time meaning you cannot plan your work. Not able to purchase 2017 data. Even with a brand new iPad the purchase function doesn't work, so I assume this is as far as development has gone. This app only provides information for current day. The lists of chores function would be great for planning, but this is not possible without 2017 data. ☹️ Looking forward to the fully functioning version of this app. Hopeful the MT's organization can make this happen.